Romanos I Lekapenos or Romanus I Lecapenus (Greek: Ρωμανός Α΄ Λακαπήνος, Rōmanos I Lakapēnos) (c. 870 – June 15, 948) was Byzantine Emperor from 920 to his deposition on December 16, 944. Romanos was the son of an imperial guardsman of Armenian origin named Theophylaktos "the Unbearable". Romanos had been born in Lakape, hence the name "Lakapenos" (more commonly rendered by the less accurate form "Lekapenos" in English). Although he did not receive any refined education (for which he was later abused by his son-in-law Constantine VII), Romanos advanced through the ranks of the army during the reign of Emperor Leo VI the Wise. In 911 he was general of the naval theme of Samos and later served as admiral (droungarios) of the fleet. In this capacity he was supposed to participate in the Byzantine operations against Bulgaria on the Danube in 917, but he was unable to carry out his mission. In the aftermath of the Byzantine defeat at the Battle of Anchialus in 917, Romanos sailed to Constantinople, where he gradually overcame the discredited regency of Empress Zoe Karvounopsina and her supporter Leo Phokas. Becoming increasingly influential at court, Romanos exiled his rivals and strengthened his links with the underage Emperor Constantine VII. In May 919 he married his daughter Helena to Constantine and was proclaimed basileopatōr ("father of the emperor"). In September 920, Romanos was invested as kaisar (Caesar), and finally on December 17 of the same year he was crowned co-emperor, becoming the effective head of the Byzantine Empire. In subsequent years Romanos crowned his own sons co-emperors, Christopher in 921, Stephen and Constantine in 924, although, for the time being, Constantine VII was regarded as first in rank after Romanos himself. It is noteable that, as he left Constantine untouched, he was called 'the gentle usurper'. Romanos strengthened his position by marrying his daughters to members of the powerful aristocratic families of Argyros and Mouseles, by recalling the deposed patriarch Nicholas Mystikos, and by putting an end to the conflict with the Papacy over the four marriages of Emperor Leo VI. The first major challenge faced by the new emperor was the war with Bulgaria, which had been re-ignited by the regency of Zoe. Romanos' rise to power had cut off Simeon I of Bulgaria's plans for a marital alliance with Constantine VII, and Romanos was determined to deny the unpopular concession of imperial recognition to Simeon, which had already toppled one imperial government. Consequently, the first four years of Romanos' reign were spent in warfare against Bulgaria. 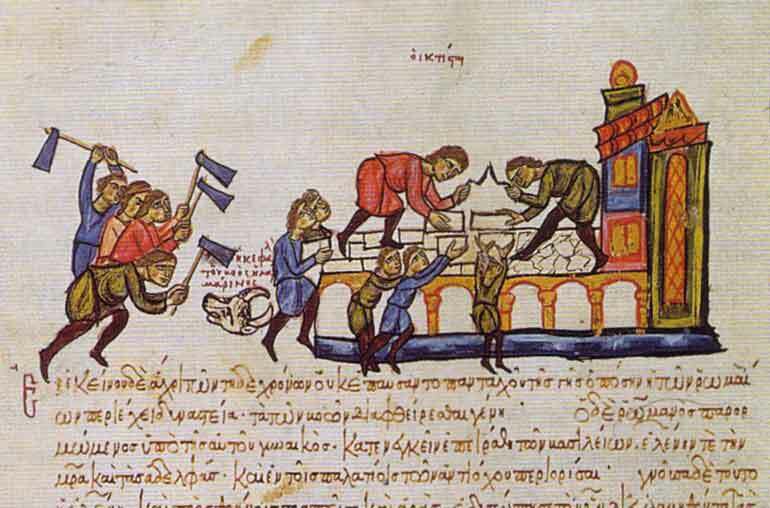 Although Simeon generally had the upper hand, he was unable to gain a decisive advantage because of the impregnability of Constantinople's walls. In 924, when Simeon had once again blockaded the capital by land, Romanos succeeded in opening negotiations. Meeting Simeon in person at Kosmidion, Romanos criticized Simeon's disregard for tradition and Orthodox Christian brotherhood and shamed him into coming to terms and lifting the siege. In reality, this was accomplished by Romanos' tacit recognition of Simeon as emperor of Bulgaria. Relations were subsequently marred by continued wrangling over titles (Simeon wanted to call himself emperor of the Romans), but peace had been effectively established. On the death of Simeon in May 927, Bulgaria's new emperor Peter I made a show of force by invading Byzantine Thrace, but showed himself ready to negotiate for a more permanent peace. Romanos seized the occasion and proposed a marriage alliance between the imperial houses of Byzantium and Bulgaria. In September 927 Peter arrived before Constantinople and married Maria (renamed Eirene, "Peace"), the daughter of the co-emperor Christopher Lekapenos, and thus Romanos' granddaughter. On this occasion Christopher received precedence in rank over his brother-in-law Constantine VII, something which compounded the latter's resentment towards the Lekapenoi, the Bulgarians, and imperial marriages to outsiders (as documented in his composition De Administrando Imperio). From this point on, Romanos' government was free from direct military confrontation with Bulgaria. Although Byzantium would tacitly support a Serbian revolt against Bulgaria in 931, and the Bulgarians would allow Magyar raids across their territory into Byzantine possessions, Byzantium and Bulgaria remained at peace for 40 years. Romanos appointed the brilliant general John Kourkouas commander of the field armies (domestikos tōn skholōn) in the East. John Kourkouas subdued a rebellion in the theme of Chaldia and intervened in Armenia in 924. From 926 Kourkouas campaigned across the eastern frontier against the Abbasids and their vassals, and won an important victory at Melitene in 934. The capture of this city is often considered the first major Byzantine territorial recovery from the Muslims. In 941 John Kourkouas had to defend Constantinople from a Kievan raid, and he defeated the invaders on both land (they had landed in Asia Minor) and sea. In 944 Romanos concluded a treaty with Prince Igor of Kiev. This crisis having passed, Kourkouas was free to return to the eastern frontier. In 943 Kourkouas invaded northern Mesopotamia and besieged the important city of Edessa in 944. 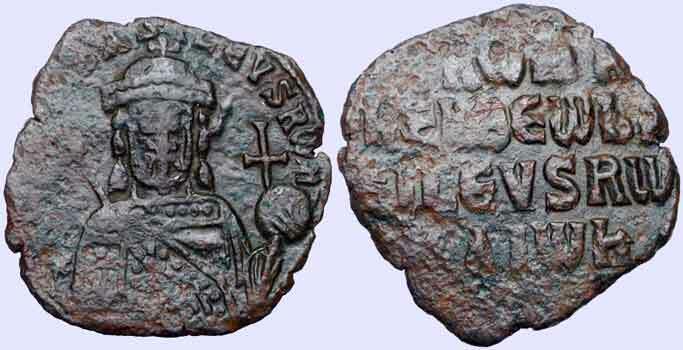 As the price for his withdrawal, Kourkouas obtained one of Byzantium's most prised relics, the mandylion, the holy towel allegedly sent by Jesus Christ to King Abgar V of Edessa. John Kourkouas, although considered by some of his contemporaries "a second Trajan or Belisarios," was dismissed after the fall of the Lekapenoi in 945. Nevertheless, his campaigns in the East paved the way for the even more dramatic reconquests in the middle and the second half of the 10th century. Romanos I Lekapenos attempted to strengthen the Byzantine Empire by seeking peace everywhere where that was possible. His dealings with Bulgaria and Kievan Rus' have been described above. To protect Byzantine Thrace from Magyar incursions (such as the ones in 934 and 943), Romanos paid them protection money and pursued diplomatic venues. Similarly, he had re-established peace within the church and overcome the new conflict between Rome and Constantinople by promulgating the Tomos of Union in 920. In 933 Romanos took advantage of a vacancy on the patriarchal throne to name his young son Theophylaktos patriarch of Constantinople. The new patriarch did not achieve renown for his piety and spirituality, but added theatrical elements to the Byzantine liturgy and was an avid horse-breeder, allegedly leaving mass to tend to one of his favorite mares when she was giving birth. Romanos was active as a legislator, promulgating a series of laws to protect small landowners from being swallowed up by the estates of the nobility (dynatoi). The legislative reform may have been partly inspired by hardship caused by the famine of 927 and the subsequent semi-popular revolt of Basil the Copperhand. The emperor also managed to increase the taxes levied on the aristocracy and established the state on a more secure financial footing. Romanos was also able to effectively subdue revolts in several provinces of the empire, most notably in Chaldia, the Peloponnese, and Southern Italy. Romanos' later reign was marked by the old emperor's heightened interest in divine judgment and his increasing sense of guilt for his role in the usurpation of the throne from Constantine VII. On the death of Christopher in 931, Romanos did not advance his younger sons in precedence over Constantine VII. Fearing that Romanos would allow Constantine VII to succeed him instead of them, his younger sons Stephen and Constantine arrested their father in December 944, carried him off to the Prince's Islands and compelled him to become a monk. When they threatened the position of Constantine VII, however, the people of Constantinople revolted, and Stephen and Constantine were likewise stripped of their imperial rank and sent into exile to their father. Romanos died in June 948. Christopher Lekapenos, co-emperor from 921 to 931, who was married to the Augusta Sophia and was the father of Maria (renamed Eirene), who married Peter I of Bulgaria; Christopher's son Michael Lekapenos may have been associated as co-emperor by his grandfather.